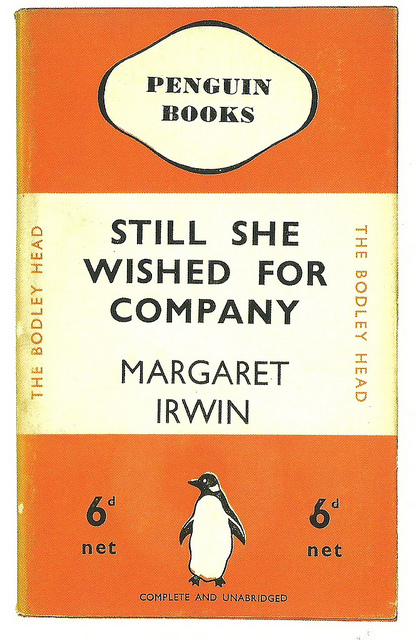 I’ve been down for the count for the past few days with a terrible cold — throat still throbbing, can hardly speak — so I missed this when it first came out last week: the piece I wrote about Margaret Irwin (she of the most excellent weird story ‘The Book’ and the fantastic slipstream/time travel novel Still She Wished for Company) is now up on Weird Fiction Review as part of their ‘101 Weird Writers’ series. I love Margaret Irwin’s writing, and am so glad Ann and Jeff VanderMeer’s The Weird is helping to draw more attention to writers like her! …and you can read the rest over here. Tags: adam mills, ann and jeff vandermeer, margaret irwin, still she wished for company, the book, weird fiction review, weird writers. Bookmark the permalink.